Description: A spreadsheet listing the cities of the Flanaess with population and country, and another tab with the various coinage names for each country, grouped by common culture. Description: Until now, Keoland has received a fraction of the attention given to Aerdy elsewhere. This article expands upon the information in the Living Grayhawk Gazeteer by further detailing the makeup of the kingdom and its provinces. Download this excerpt from the Living Greyhawk Journal today. This article is in PDF format, you'll need the Acrobat Reader from Adobe to view it. Description: Major Personages of the Flanaess includes many NPC's in D&D 3.5e format from the LG Gazateer, FtA, WoG Campaign Setting, and Ivid the Undying materials. This article is in PDF format, you'll need the Acrobat Reader from Adobe to view it. Description: Major Personages of the Domain and City of Greyhawk includes many NPC's in D&D 3.5e format from the LGG, FtA, WoG Campaign Setting, and Ivid the Undying materials. This article is in PDF format, you'll need the Acrobat Reader to view it. Description: From the Oerth Journal Vol.1 #3 March 20, 1996; the Council of Greyhawk; this file includes various magical schools and societies throughout the Flanaess. Description: Originally offered as a free download from WotC, The Darkhagard prestige class for Rhenee characters is being included here for archiving purposes only.  Description: Originally offered as a free download from WotC, The Silent Ones prestige class is being included here for archiving purposes only. Description: Originally offered as a free download from WotC, The Vetha prestige class for Rhenee characters is being included here for archiving purposes only.